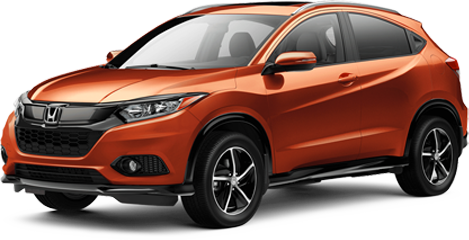 The Honda HR-V is a subcompact crossover that has a small outside and big interior. The HR-V offers a lot for a little! With its starting price of $23,100 you get many advanced safety features, an outstanding performance and a fun urban persona that matches its all-weather capability. 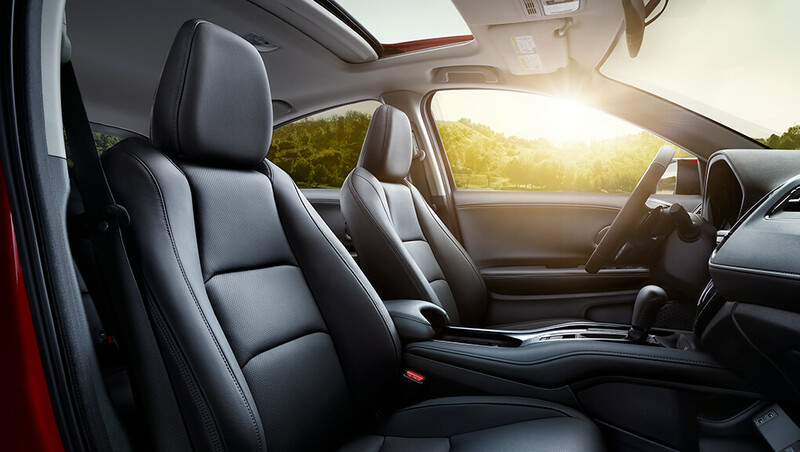 The 2019 Honda HR-V comes standard with seating for five, rear seats that fold both bottom cushions to provide maximum comfort, and more technology than can be listed in one sentence. In short, there’s a lot in the HR-V and that’s just a few of the great reasons to love one. Read along with us at Alberta Honda to learn more about this crossover SUV. 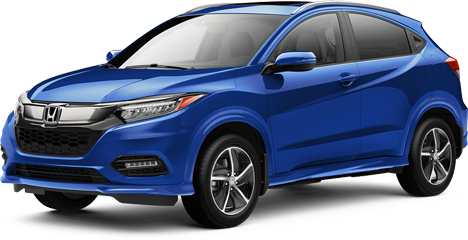 The 2019 Honda HR-V in Edmonton comes with a 1.8-litre 4-cylinder engine that produces 141 horsepower and 127 pound-feet of torque from its sixteen valves. A continuously variable transmission (CVT) is also standard in the HR-V, providing the convenience of an automatic transmission without the shifting and with more efficiency. Fuel economy is rated at 8.8 L/100km in the city and 7.5 L/100km on the highway. Both front-wheel and all-wheel drive are available, the latter being an automated system that only kicks in when needed. With the HR-V, maneuverability and capability are key! 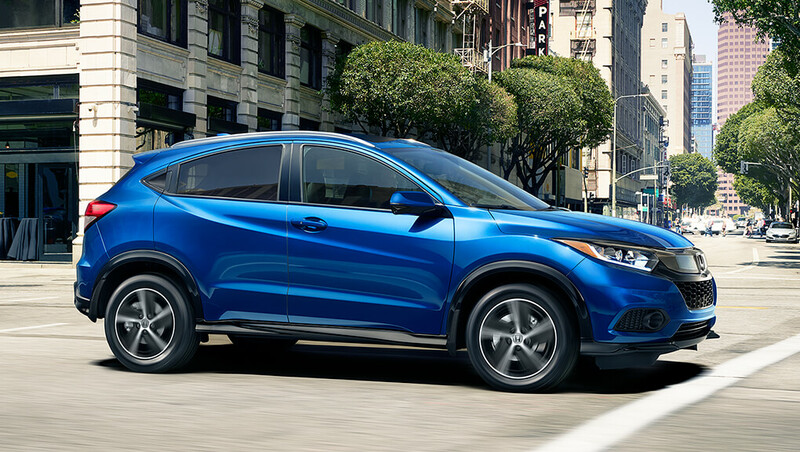 When it comes to technology, the 2019 Honda HR-V includes a 7-inch Display Audio System touchscreen offering access to Next Generation audio, connectivity, and more. This year, the center screen system also has Apple CarPlay and Android Auto™ so you can access the music and contacts on your phone with convenience. The Honda HR-V offers a huge amount of interior space and robust fun in its small package. The 2019 Honda comes with new SPORT and TOURING trims providing advanced features like steering wheel-mounted paddle shifters and rain-sensing windshield wipers. The front bumper has been improved for a more attractive look. You will notice the freshness of the black chrome honeycomb pattern grille along with the new LED fog light design. Inside the 2019 Honda HR-V, there is a lot of upscale design to go with the comfortable seating and thoughtful engineering. The rear seats not only fold down to expand the rear cargo space, but also have seat cushions that fold up to offer a flat floor between the front and rear seat backs for the family dog, or tall items like a bicycle or anything else that might need to fit. The seat cushions fold up independently, so a stroller and the little one’s child safety seat can be in the HR-V with room to spare in the back! 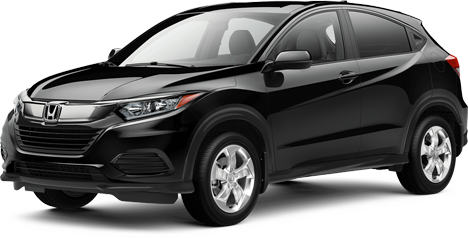 Contact us at Alberta Honda for any questions on the 2019 Honda HR-V or book a test drive today to experience this unique driving adventure yourself!